Kepware Siemens OPC Server Suite는 아래의 통신 driver를 모두 포함하고 있습니다. 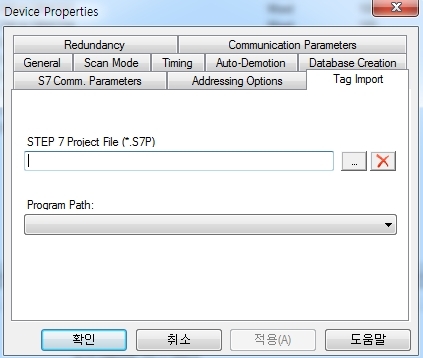 Siemens STEP7 프로젝트 파일 (*.S7P)에서 설정된 Tag를 읽어 들이는 기능을 제공합니다. Note: While this driver does support Ethernet Encapsulation, tight timing requirements of this protocol may preclude the driver from working in all Ethernet network environments.